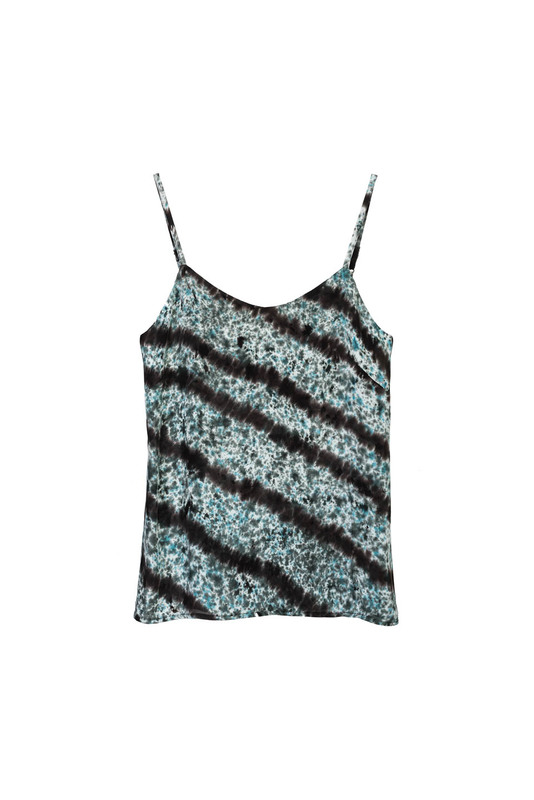 Sleeveless silk Camisole with deep neckline. Slip design has fabric adjustable thin-straps to frame and highlight your shoulders and decolletage. This print was inspired by the tree of life. While drawing, I take confort in Simple Pleasures, making the most positive and powerful wishes, which are stoned in the tree of life. The drawing is charged and starts to function!